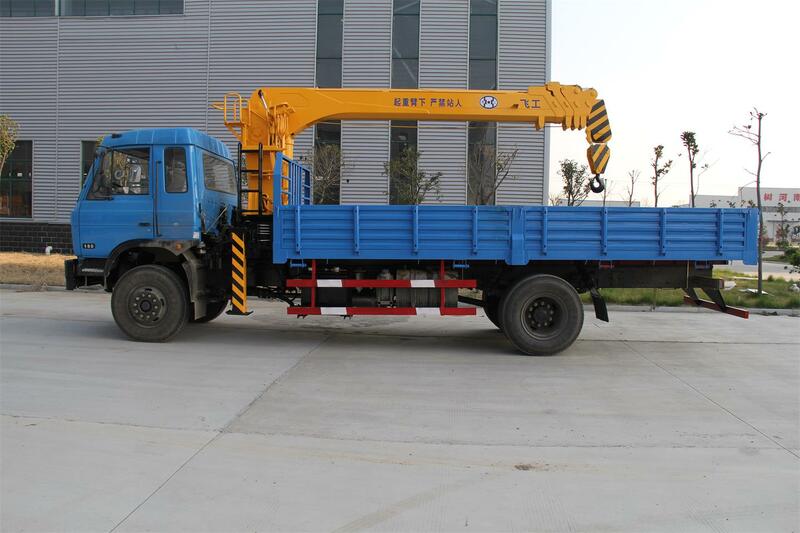 The most distinguishable part of a crane truck is its massive boom. It is the feature that makes this equipment very important in a construction project. This tall, extending apparatus is only one of the many components that are part of the total design. 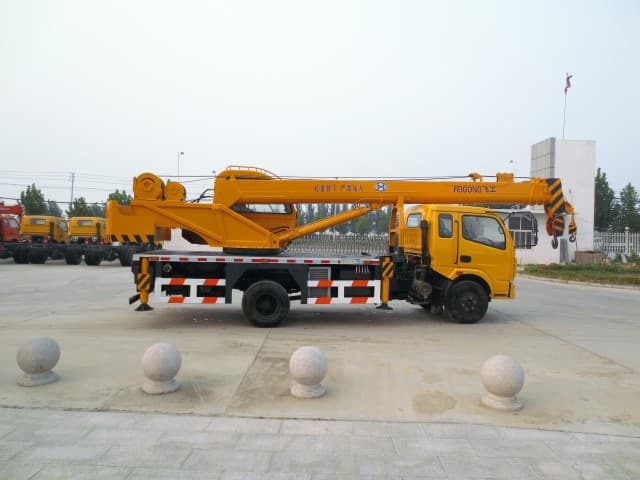 The following are several other major components that play important roles during the operation of a crane truck. Hydraulic System– The hydraulic system consists of high pressure tubing, two or more rams, special fluid and a pump. The hydraulic system is a crucial component on heavy-duty equipment. It is the muscle that moves the mechanical parts of various types of equipment. On a crane truck, it is responsible for various functions such as deploying the outriggers, moving the boom into position, rotating the Rotex gear and rotating the winch for raising or lowering the load. 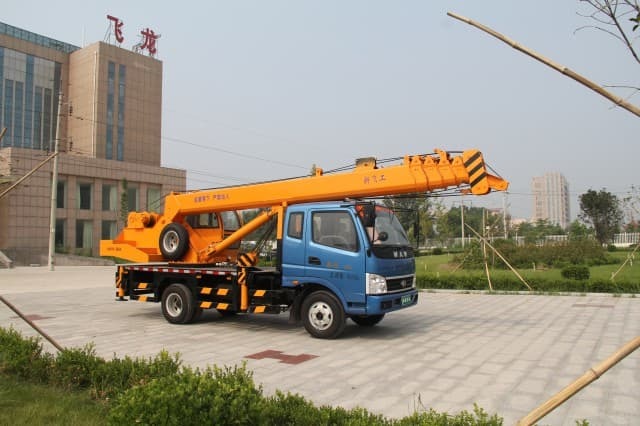 Rotex Gear– Being able to rotate the cab and lifting arm on a vertical axis is important for this equipment. The Rotex gear is a massive turn-table bearing that supports the boom and the cab on top of it. In order to position the gear in the desired direction, it is rotated with a bi-directional hydraulic motor. 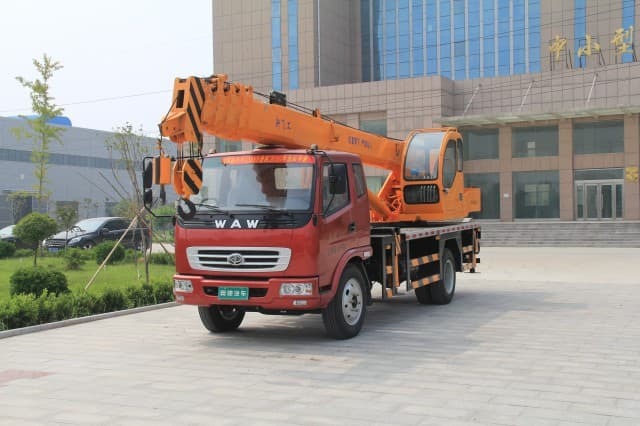 Boom– The most noticeable part of a crane truck is the boom. It can either be telescopic or articulated. For telescopic ones, the entire length consists of several metal sections that can slide in and out, depending on the working height that is required. 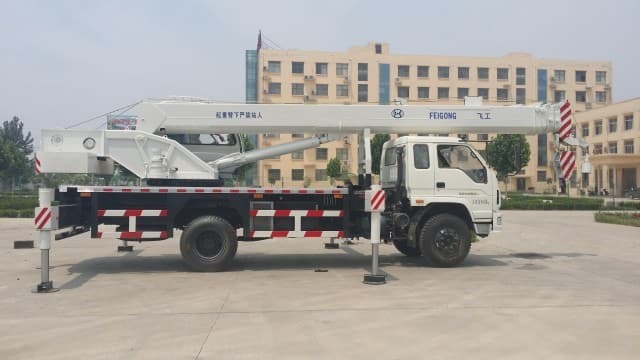 The articulated version is also composed of several smaller boom sections; however, instead of sliding in and out, each boom section is connected by a joint which allows it to straighten or fold, depending on the required working height. Some modern booms are a combination of the two to allow the most mobility and control. 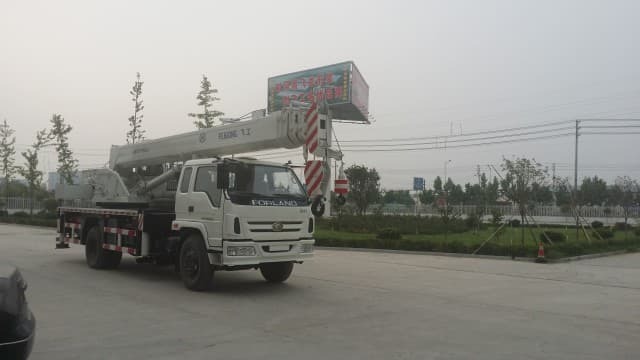 Reinforced Steel Cable– The reinforced steel cables run from a massive winch that is sitting behind the operator’s cab along the entire length of the boom. The length of the reinforced steel cable can be adjusted with the immense winch that rolls the steel cable. A heavy metal ball connected at the end of the cable keeps the line taut when there is no load attached. Hook– A steel hook is used to secure the load during hoisting. The steel hook has a spring-loaded locking mechanism to keep the cargo in place during the hoisting. The hook is attached below the metal ball to keep it from swinging when there is no cargo attached. 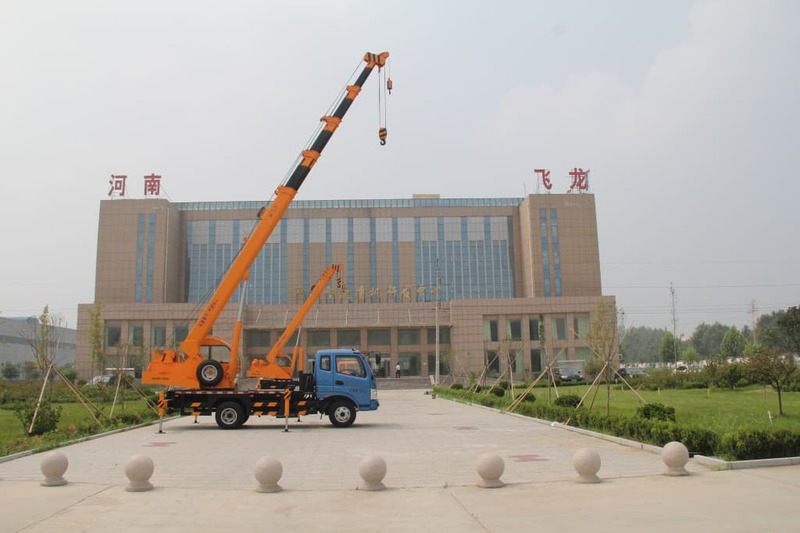 Counterweight– Some heavy-duty crane trucks are equipped with counter weights. The counter weight balances the crane and keeps if from tipping over during operation. 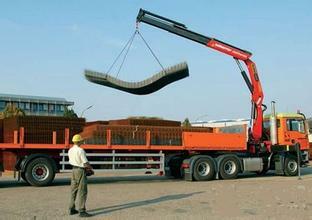 The amount of counterweight to be used is determined by the weight of the load being hoisted. Outriggers– Rubber wheels alone cannot provide sufficient stability. For maximum stability, this equipment is equipped with outriggers. They are hydraulic-powered steel legs that can be lowered during operation. 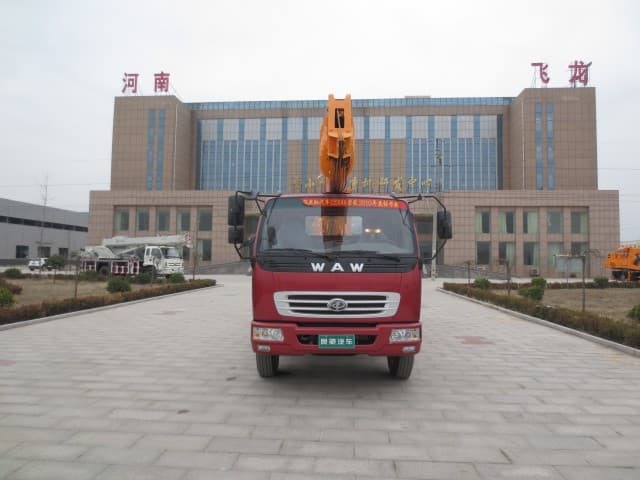 Each crane truck is equipped with four outriggers for stabilization. 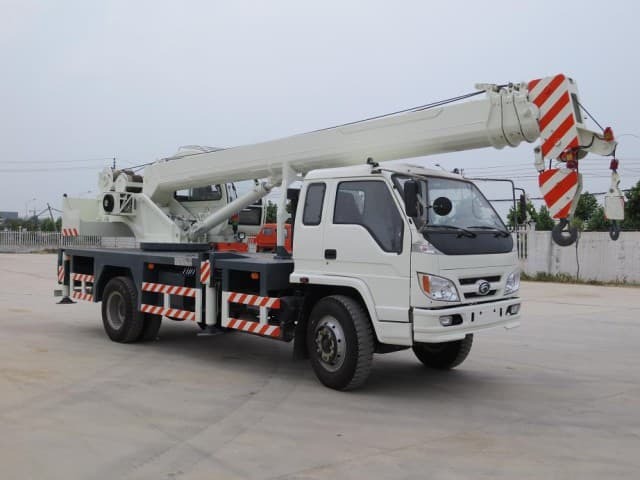 Truck Base Frame– The last and equally important component of this massive equipment is its truck base frame. One of the advantages of this equipment is its mobility. It can drive to various locations and start hoisting in no time without any assembly or disassembly required. Its mobility is due to the truck base frame that permanently houses the unit. 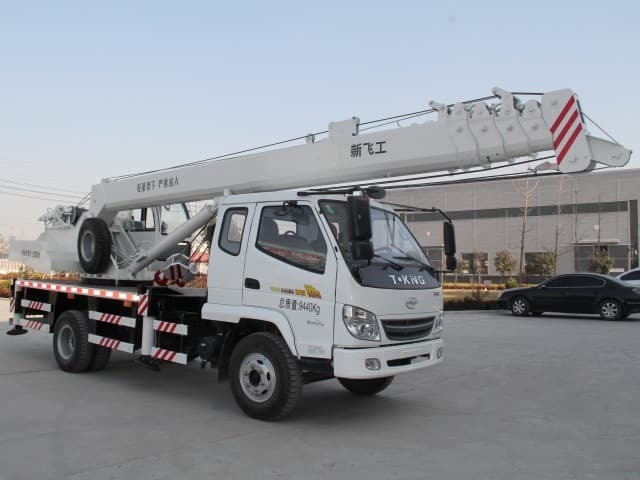 The components listed above are some of the major ones included in a crane truck. All these parts combined together make it effective for hoisting various loads safely and efficiently to their required height!